We all have that something that we'd want to do and try but for some reason, just couldn't. It may be for some reason like the busy-ness of life or just because you have other priorities. 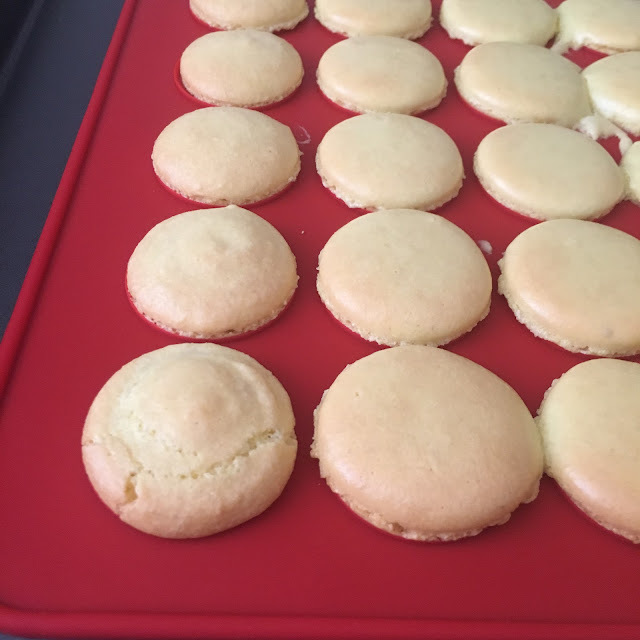 In my baking to dos, french macarons tops that list. I was a bit put off and scared of how a tiny error during the preps will make or break the results, and that it needed time, accuracy and focus, and a bit of planning and preparation - things I am certainly not good these days given the things that I have to balance here and there. But it had to be done - and when I'm feeling adventurous and wanting to bake something, it's always on my mind - do I make macarons now? Then I just put all caution to the wind and went with it, never really expecting it to turn out OK. This, after all was my first time. But what do you know - they came out OK and tastes legit, too! 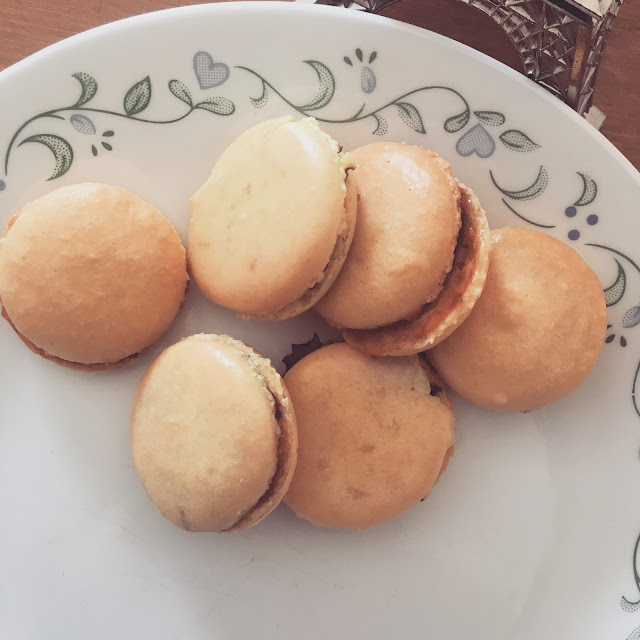 I didn't fuss with the fillings as I would have wanted - I spread some nutella and jam on the macarons because I didn't have energy and time left. But it certainly turned out OK. 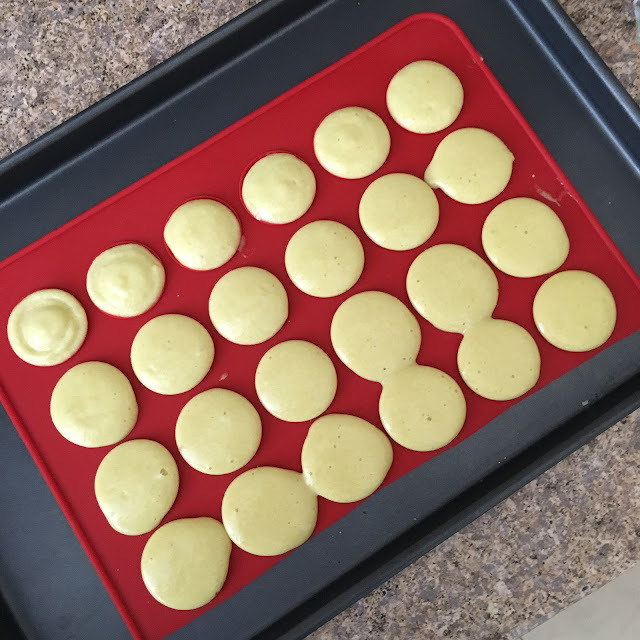 I definitely learned a lot during the process and there were a few things I knew I could do better and improve on - definitely felt the macarons would have used a few more minutes in the oven, but am happy overall. Looking forward to make some more and try other variations in the future - it's so versatile that I know there'd be a lot of combinations of flavours to try! 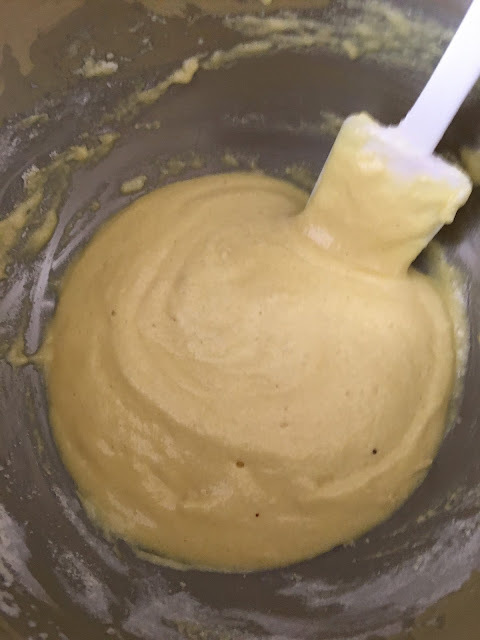 Silky, aged batter characteristic of the french macaron.